Electronic equipment and electrical devices in your home make life more entertaining, convenient and comfortable. Your house may need additional electric outlets or circuits to get power where you need it. Electrical extension cords are not intended for continuous use and can be dangerous. We can add electric outlets to power all your games, audio equipment, video gear, outdoor needs or safely add 220 volt appliance circuits for stoves, water heaters, dryers and more. 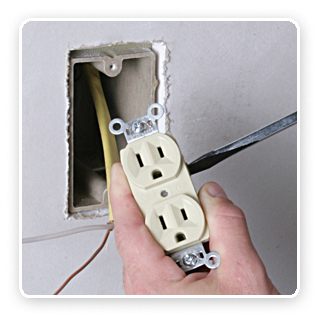 Get power where you need it — add electrical outlets, receptacles and circuits in your home. Call Jameson today, 855-297-4331.